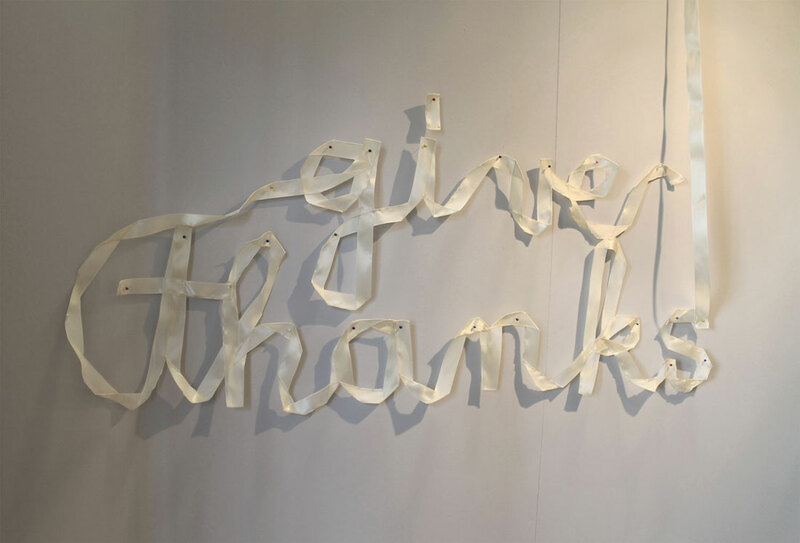 Responses were generated from a public call, which explained that the exercise of listing gratitude elicitors has been found to increase subjective well-being. 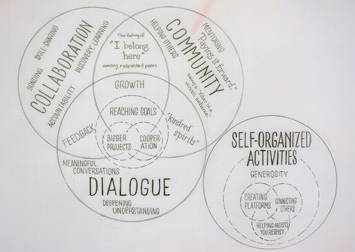 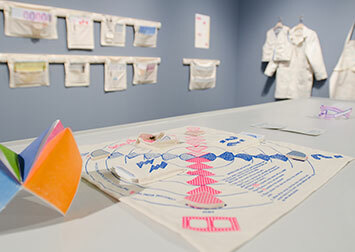 A few responses from the artist are included; most responses are from the members of the public in the US and UK. 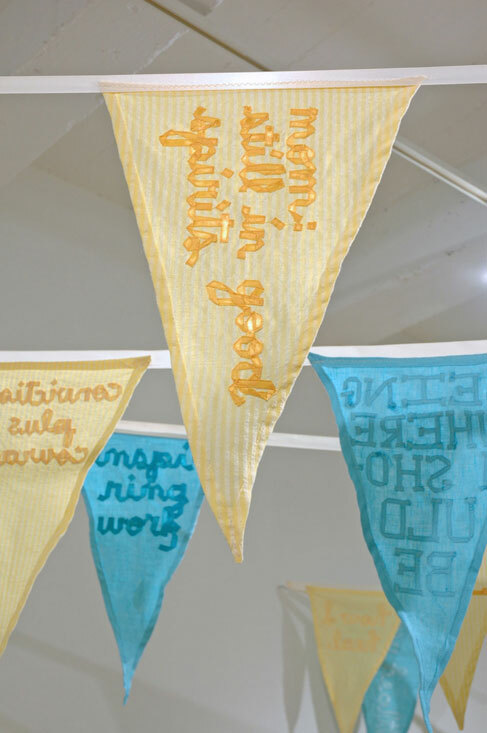 After editing the texts for concision, the artist handcrafted an installation of 39 pennant flags. 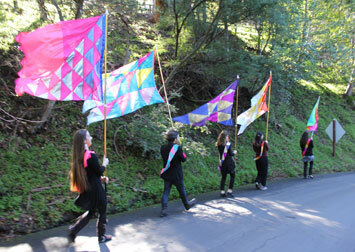 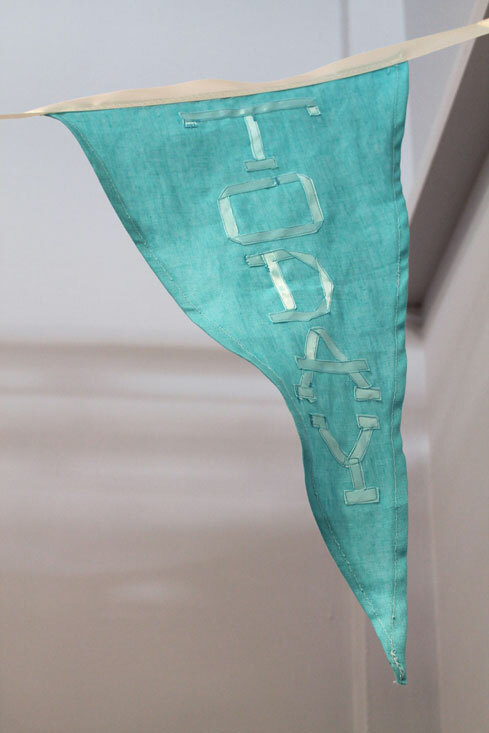 Each linen flag bears one response in satin ribbon. 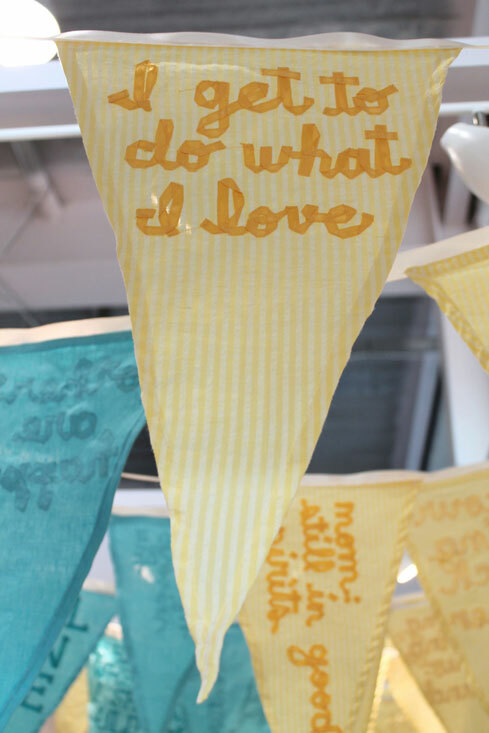 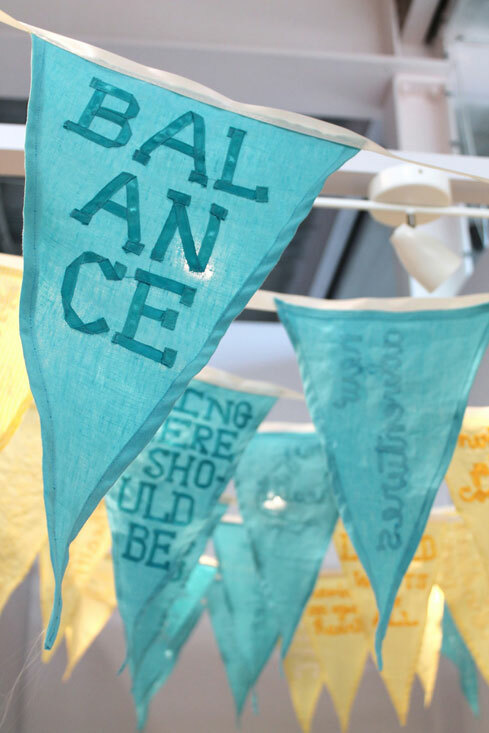 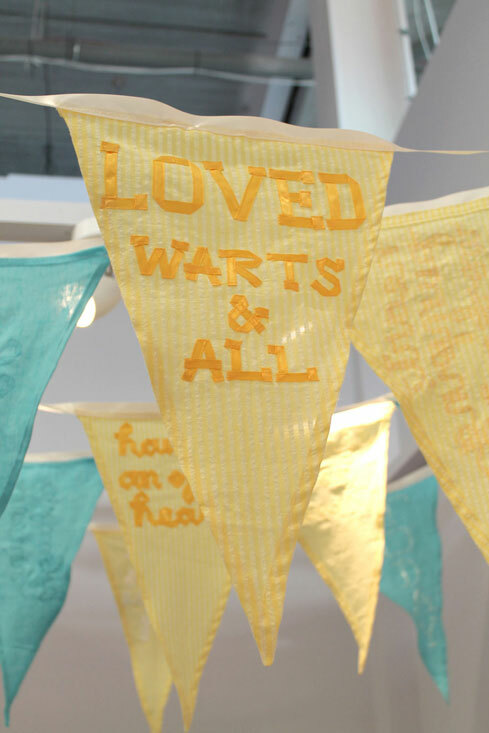 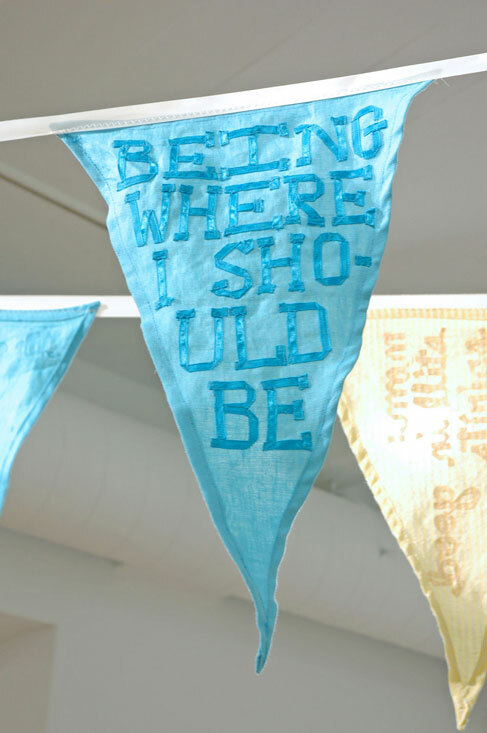 These pennants form a collective gratitude journal. 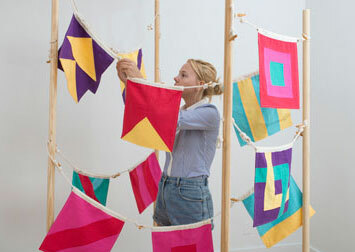 The flags are strung together with a ribbon whose tail spells “Give thanks.” This instruction was also enacted in a participatory activity at Project Space Leeds. 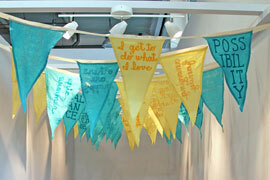 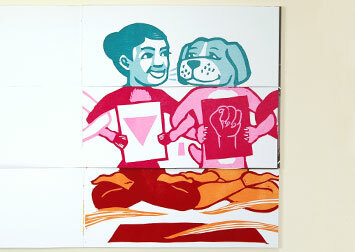 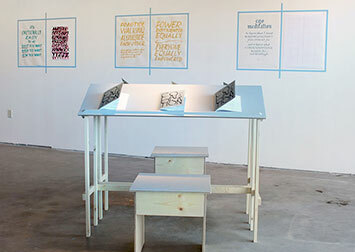 Give Thanks was on view in Voices of Home at Jenkins Johnson Gallery in New York in February 2012. 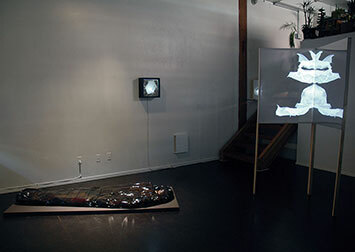 It was exhibited in Enter a Small Room Arranged for this Purpose: Part Three, Untitled Gallery’s contribution to Peering Sideways at PSL [Project Space Leeds] in Leeds, UK in 2011. 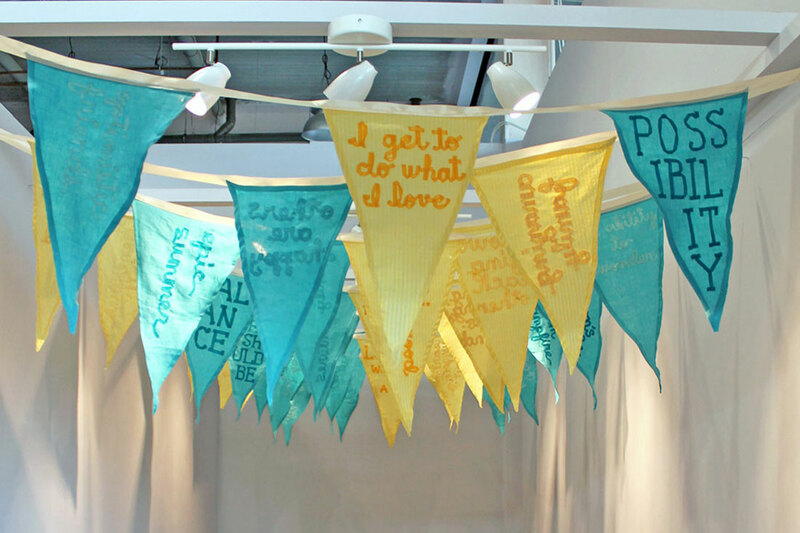 The artist expresses her gratitude to contributors Victoria, Mike Chavez-Dawson, Rebecca Chesney, Christian L. Frock, Regine M. Gilbert, Whitney Lynn, Liz Mariani, Susan O'Malley, Nyeema Morgan, Dorothy Santos, Joseph Sobel, Michele Théberge, and Rachelle Tolwin.